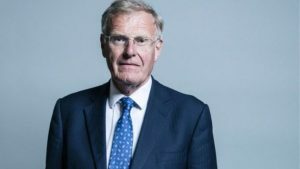 The chairman of the Conservative Association for Christchurch, Chope’s constituency, confirmed that there will be a meeting held to discuss the MP’s behaviour. Sajid Javid, the Conservative MP for Bromsgrove, has been confirmed as the new Home Secretary, replacing Amber Rudd who resigned earlier today. James Brokenshire will replace Javid as the Secretary of State for Housing, Communities and Local Government. James Brokenshire, the Secretary of State for Northern Ireland, has welcomed the investment by Airbus into Bombardier. The move would allow the C-Series to be produced and avoid proposed US tariffs, as well as ensuring the employment of many workers in Northern Ireland. “Last night’s announcement that Airbus is taking a stake in Bombardier’s C-Series is positive and welcome news for Northern Ireland. We have been working tirelessly across Government to secure the future of the C-Series in recent months, and we will continue to do all we can to ensure the unjustified case brought by Boeing reaches a swift and effective resolution. Our number one priority throughout has been to safeguard jobs and livelihoods in Belfast. While there are still some steps before the deal is completed, this is clearly a significant move forward for the C-Series and for the workforce in Northern Ireland”. Theresa May, the Prime Minister, has said that the US decision to charge a trade tariff of 220% on Bombardier is “bitterly disappointing”. The decision by the US Department of Commerce comes after complaints from Boeing that Bombardier received anti-competitive Government funding from the Quebec Regional Government. “We are bitterly disappointed by the initial Bombardier ruling. The Government will continue to work with the company to protect vital jobs for Northern Ireland”. The company currently employs 4,000 people in Northern Ireland, making it one of the largest employers, with over 1,000 being involved with the C-Series of aircraft which are currently affected by the tariff. “The UK government believes clearly that the support that we have given through repayable launch investment to the C Series project is legitimate, is lawful, is within World Trade Organisation rules and therefore that the actions that have been brought around this case are unwarranted”. James Brokenshire, the Secretary of State for Northern Ireland, has said that the restoration of devolution in the province is a priority. No Executive has yet been formed following the elections earlier in the year and agreement hasn’t been reached between the parties on how to proceed. “My priority is to see the restoration of the devolved institutions in Northern Ireland, working on a sustainable basis to deliver good government for everyone. Over the summer I have kept in touch with the political parties and I will be bringing them together over the next week as we enter a new phase of talks. Urgent progress is required. The lack of an Executive making key decisions on matters including health and education means that public services in Northern Ireland are suffering. We need to find a way forward that will allow an Executive to be formed. We must ensure that politicians locally are working together to strengthen the economy, to deal with the challenges and opportunities of EU Exit, and build a stronger, shared society based on respect for everyone. Ultimately, it is for Northern Ireland’s political parties to find a way to make this work”. No agreement has been reached following power sharing talks in Northern Ireland after the elections which were held on 2 March 2017. The two largest parties in the Assembly, Sinn Fein and the DUP, failed to reach agreement and have blamed each other for the delay, with the deadline for agreement now exceeded. “It is very clear from the people they had at the talks that they were very focused on their southern election prospects, that is deeply regrettable”. “The DUP’s approach thus far has been to engage in a minimalist way on all of the key issues, including legacy issues, an Irish Language Act, a Bill of Rights, and marriage equality”. “I have spoken to the Prime Minister this afternoon and this remains the UK government’s continuing priority”. James Brokenshire, the Secretary of State for Northern Ireland, has delivered a statement outside Stormont in Belfast on the latest situation with talks in the province. 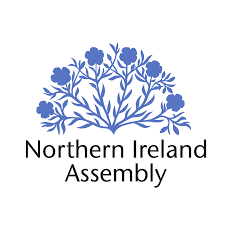 We’re now entering the final few days available to the political parties here in Northern Ireland to form an Executive. I’ve had constructive discussions over the last two and a bit weeks with the Irish government and with political parties. There are a number of issues where I see common ground and where I firmly believe that resolution can be achieved. But there are other issues that still remain to be resolved in order for an Executive to be formed on Monday. We also have a duty to survivors and victims to come forward with proposals to deal with the past. I believe that a deal is still achievable – with good will, good spirit and that positive intent. And we must firmly focus on those key issues to enable an Executive to be formed on Monday. It is that task of work that we are firmly engaged in. I’ll be working intensively in the coming days to achieve that positive outcome, to see inclusive devolved government restored here in Northern Ireland, that responsibility that we all feel in that regard. And it is with that intent that we start meetings this morning and I will now head to Stormont Castle. Vote Leave have named 50 criminals who they claim the EU has prevented from deporting. “This is yet more evidence of how EU membership makes us less safe. Free movement of people allows unelected judges in the rogue European court to decide who we can and can’t deport. This puts British families at risk. It squanders UK taxpayers’ money on keeping them in prison – and that’s on top of the £50m we send to the EU every day”. “The bigger picture is that our access to the European Arrest Warrant has allowed us to deport 6,500 European criminals since 2010. That’s 130 times the number of criminals Vote Leave have identified”. The Government has confirmed that changes are to be made to the VISA application process in a bid to reduce the reliance on foreign workers. The changes mean that there will be an increase in the minimum salary for experienced workers from £25,000 to £30,000, in the expectation of preventing foreign workers lowering wages. There will also be measures to make it easier to hire graduate trainees and the introduction of an skills charge for every non-EEA worker who is employed. “This balanced package of changes has been designed to ensure our immigration system continues to work in the national interest, ensuring that employers look first to the UK resident labour market before recruiting from overseas. It will prevent companies using foreign workers to undercut wages in this country and will help fund training schemes to give British workers the skills they need to help our economy grow further. At the same time, it will ensure that we are still able to attract nurses and other skilled migrants to the UK”. The Government is to accept more child refugees after consultation with charities and aid bodies. The Government said that it would take “exceptional cases” where residency in the UK would help the child and it will take the children from Syria, and neighbouring countries, directly. The UK is expected to take in around 3,000 refugees directly from refugee camps but is also spending £10 million on assisting child refugees who are already on mainland Europe and who need assistance. “We have asked the UNHCR to identify the exceptional cases where a child’s best interests are served by resettlement to the UK and help us to bring them here”.